"Kristin Wells, host and contractor on HGTV's Smart Fix, was introduced to the world of carpentry at a young age. Her father’s knack for fixing things and watching HGTV programming piqued her interest in home layout and design. Kristin soon began working with local builders to get hands-on experience with home repairs and renovations. Eager to put her building and design skills to use, Kristin formed a construction company in 2003 where she worked with clients on all aspects of home remodeling. With an expertise in several areas of construction and design — such as framing, drywall and tile work — Kristin is not afraid to get her hands dirty. Prior to joining HGTV’s Smart Fix, Kristin was featured in another television series, Homemakers, in which she renovated a 100-year-old home. " Smart Fix, a new HGTV show starring Kristin Wells, is scheduled to begin on Thursday, October 1, 2009 at 7:30 AM. The first show, Episode HSMFX-107, is titled "Mediterranean Style Patio." "Nicole Schwarz has an uninviting and muddy backyard that she dreams of converting into a comfortable and relaxing patio where she can entertain family and friends. With host Kristin Wells' help, Nicole transforms her uninspired backyard into a serene Mediterranean-style outdoor space." Kristin Wells, former cohost of “HomeMakers”, an all female renovation show that was on Turner South, has started filming a new renovation show for HGTV. The show has begun filming in Charlotte NC and will begin airing on HGTV within the year. The new show is geared to do it yourselfers and will include a lot of do it yourself participation. Each show will have a budget of $ 3,000 and must be a project that can be completed in a weekend. a local contractor to learn remodeling skills. However, the seeds may have been planted by Kristin watching her dad do a renovation of their home when she was 3 years old. There is a picture of Kristin leaning against a ladder and holding a hammer. Also, her great grandfather felled the trees, milled the lumber and built his own house. 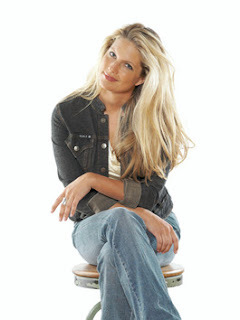 Kristin has expertise in many areas of construction as well as having a knack for design. She does framing, drywall, and lots of tile work and is not afraid to get her hands dirty. She was also coowner of a Charlotte renovation company several years ago and did incredible transformations on high end homes in the Charlotte area. She has also cohosted a special on HGTV. We’re all looking for innovative ways to update our home. Whether it is transforming an unused formal living room or creating a patio expansion, our expert host, Kristin Wells, helps homeowners identify and solve their remodeling dilemmas. The show focuses on multi-functional rooms, such as living rooms, kitchens and outdoor areas. Under Kristin’s tutelage, the homeowners are active participants in these projects, which can include installing a new tile backsplash, creating a bamboo ceiling surround or building a new dining room table. The show takes on three to four projects per episode, which help make for a true overall makeover. Smart Fix is scheduled for the 2009 Fall HGTV schedule.